This entry was posted on August 11, 2014. Bookmark the permalink. I originally posted this article in August, 2014. Many readers told me they found it helpful as they looked ahead to the new school year. So, in the back-to-school spirit, here are some tips to get the new school year off to a strong start. I hope you have enjoyed your month-long break from the intensity of the school year…no homework, no projects, no school meetings. 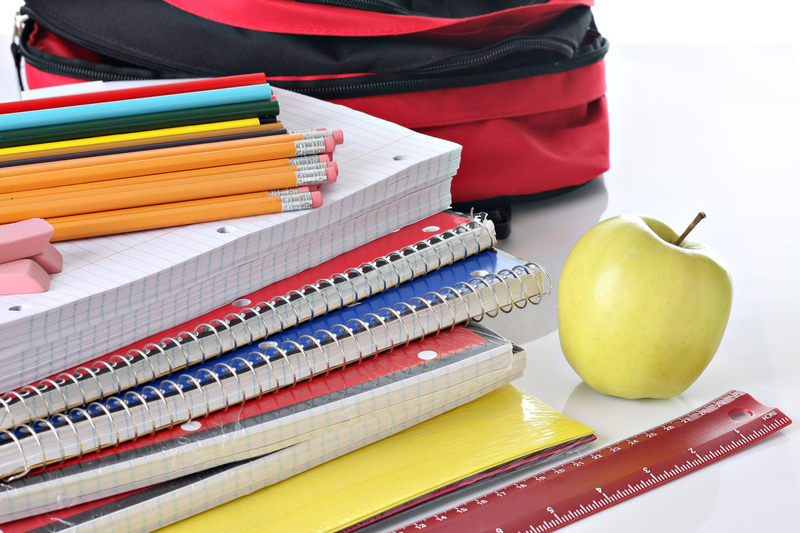 Now is the time to start planning for your child’s success during the 2014-2015 school year. Whether it’s appropriate class placement, refresher tutoring during the month of August, or supplemental help/enrichment programs during the school year, start preparing now. Taking all that you have learned during the previous school year and the perspective gained with the July recess, you are in a better position to assess your child’s needs and implement strategies to give your child every advantage for the coming year. Take inventory of the tools and strategies that worked, as well as those that did not. When you receive your child’s class assignment, reach out to the teacher. Send an email introducing yourself and asking (nicely) for a brief phone chat to “meet” each other and give some background on your child. What is your preference for handling time management: A large calendar on the wall? A weekly planner? Maybe maintaining a calendar on the computer with reminders? Where will homework assignments be completed: In the kitchen where you can keep your child on track? At his desk in the bedroom? How will you monitor his performance in school: Will you communicate with the teacher regularly? By email, phone call, or in person? Decide with the teacher what would work best for both of you. Talk to your child about his expectations for the school year. What are his goals? Concerns? Where does he think he might need some help and what can be done to give him confidence going into a new grade, in a new class with a new teacher. Maybe even a new school. Develop an initial plan for the school year, but be aware that it may need modification as the school year progresses. Your child may need less oversight than last year. Or maybe more. He may have matured during the summer and be better able to manage situations that were difficult last year. Begin the year with structure, but also with an open mind. This is a fresh start for you and for your child. Take advantage of the opportunity to leave any negative energy behind and start fresh with a positive, encouraging, optimistic outlook for this year. Happy school supply shopping!